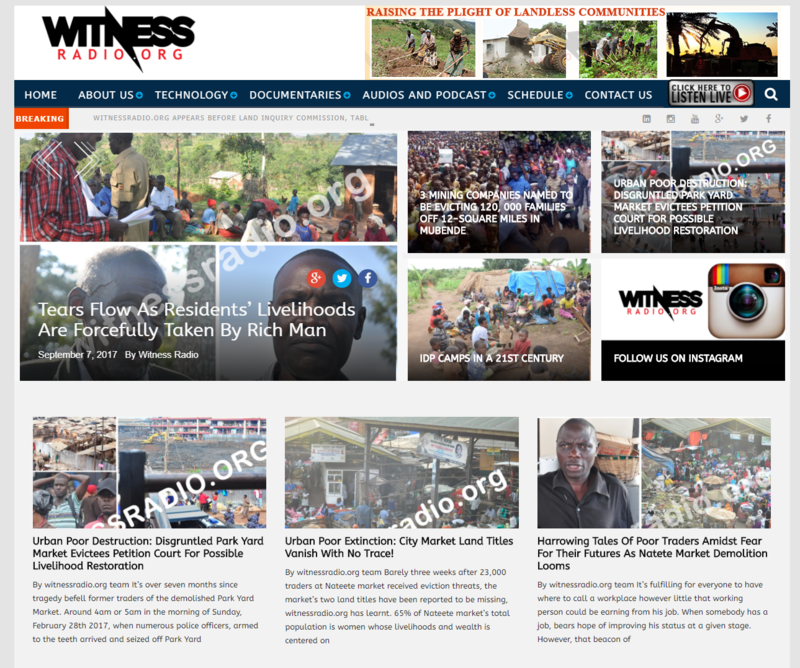 In an attempt to frustrate efforts to recover communities’ land in Mubende district, a businessman Wilfred Bugingo has sued witnessradio.org for defamation. 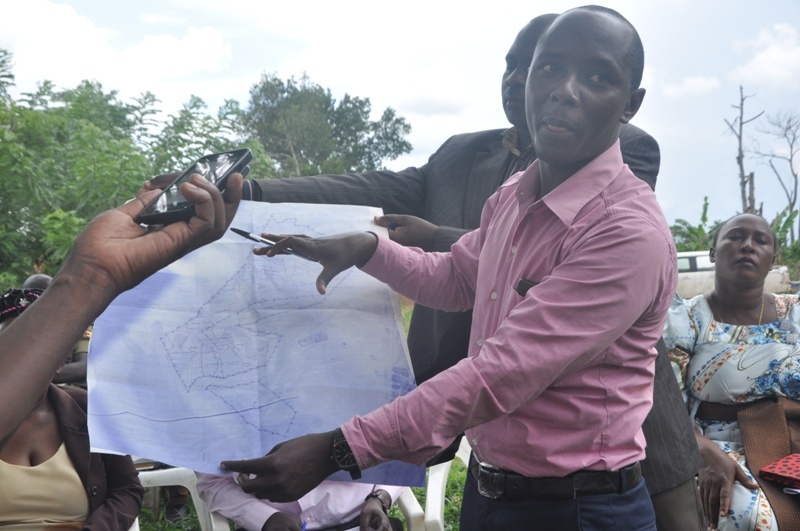 The businessmen are being assisted by police, army and Mubende District Land Board to forcefully evict and grab people’s land. Bugingo plus four other businessmen have been accused of unlawful eviction of over 14,000 families off over 30 square miles of land. 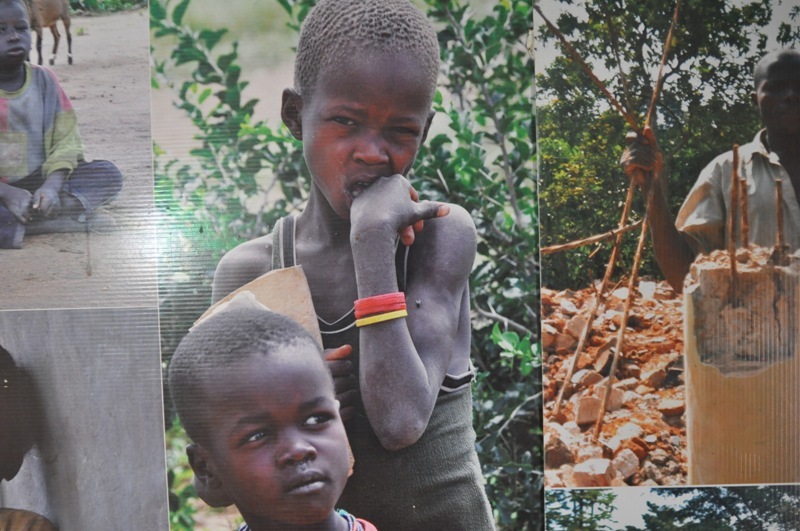 The victims of the affected communities either inherited from their grandparents or were born on the grabbed land. 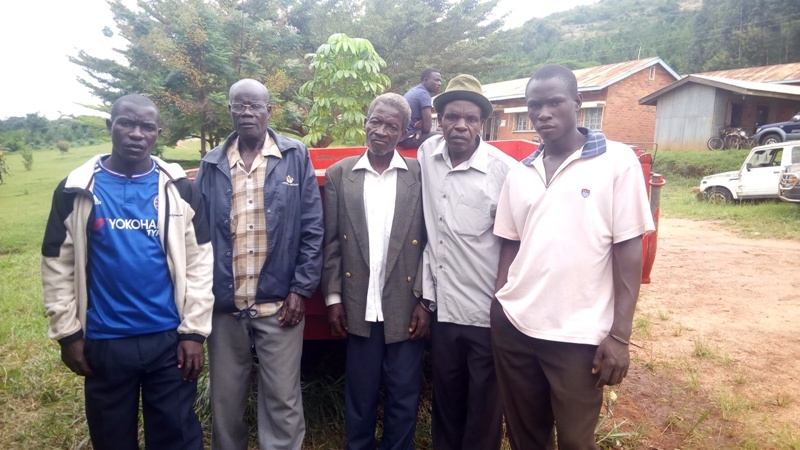 Bugingo is being accused of grabbing two (2) square miles of land given to natives by government because they were part of West Mengo Growers Union’s seven (7) square miles. 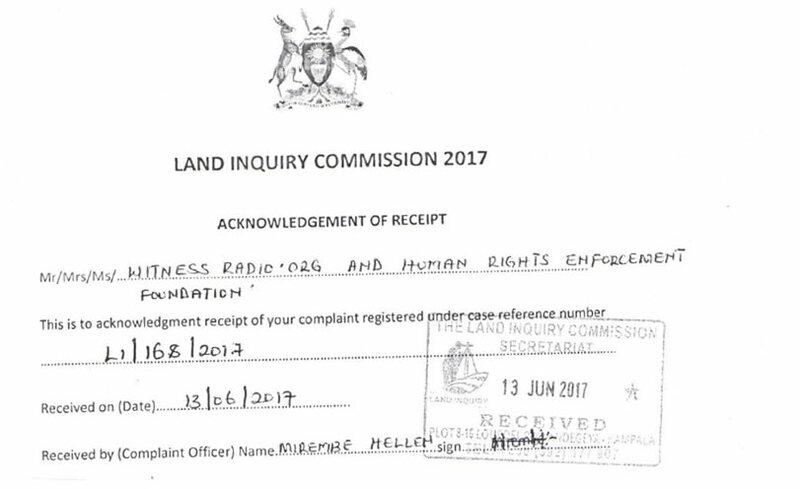 In civil suit No 415 of 2017 in the High Court at Kampala filed on 15th August 2017, Bugingo through his lawyers of Lwere, Lwanyaga & Company insists that he is the owner and registered proprietor of land comprised in freehold register volume HQT 177 Block 427 plot 380 at Lwensolo, ,Mubende district. “Before the plaintiff acquired the certificate of title to the above said land, he occupied and utilized the same for animal, crop husbandry plus tree planting for a period over ten  years,” Bugingo’s law suit states in part. 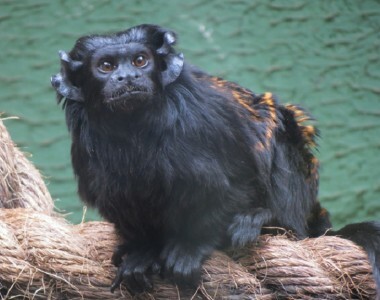 Witnessradio.org, an independent and non-partisan organization working towards an equitable land management and advocating for indigenous people’s land rights was sued along with Human Right Enforcement Foundation (HUREF). In its memoranda to the commission of inquiry, witnessradio.org reported that five community leaders; Crespo Buyondo, Abdullah Kasigire, Eldard Tamale, Godfrey Kanamugire and Everest Kibaya Ssekyondwa spent three years without trial before they were forced into a plea bargain on aggravated robbery offence to get an early release. 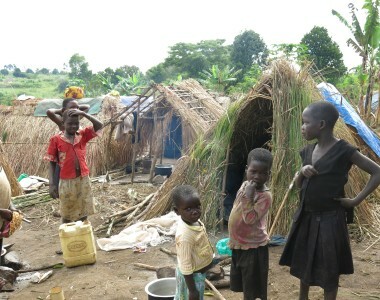 Despite their involuntary acceptance, leaders who were prosecuted and imprisoned for resisting illegal and forceful eviction, still insist that they never committed the offence but rather their arrest was intended to weaken and isolate communities in order for a powerful businessman Bugingo to grab their 2-square mile land. In filing this suit against the victims’ defenders, Bugingo, as many other economically powerful and politically connected individuals, seeks to use malicious-especially criminal defamation which has to this day remained on the law books perhaps to silence non-violent criticism and opposition to his brutal acts meted on the poor peasants in Mubende district. Criminal defamation which Bugingo chose to persecute witnessradio.org for amplifying the voices of the vulnerable, is contrary to section 179 and 180(1) of the Penal Code Act and it can land you to prison, even if what was reported about is the truth. 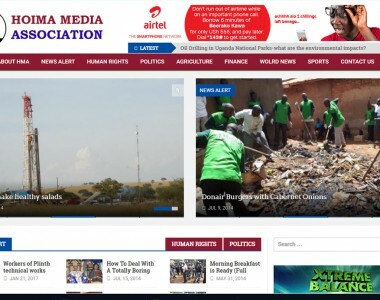 The African Commission on Human and Peoples’ Rights, in November 2010 passed a resolution stating that: “criminal defamation laws constitute a serious interference with freedom of expression and impedes on the role of the media as a watchdog, preventing journalists and media practitioners to practice their profession without fear and in good faith;” The Commission called upon State parties including Uganda, to repeal criminal defamation laws because they impede on freedom of speech. In 2009, the United Kingdom abolished criminal defamation entirely from their legal books.